Bioroids and Bombots: Weapons: Supersonic Tactical Missiles. A military commander or political leader in 2100 has hitherto unheard of levels of surveillance at his disposal. Surveillance dust and fluff, spybirds, satellites, bumblebots, high-altitude UAVs and many other systems. High level AIs rapidly process vast amounts of raw data into usable information. Accordingly, the strategies of enemies have adapted to deal with such capabilities. Movement is often made in short bursts, travelling just a few kilometres from one camouflaged or protected position to another. Such furtive moves are most commonly made when beyond the range of standard military weapons. The target has gone before artillery or aircraft can be moved into strike range. To meet such eventualities supersonic tactical ballistic missiles (TBM) see a greater level of deployment and use. In the past such systems were Corps or Army-level assets. They are now often encountered as artillery brigade or even battalion-level weapons. TBMs can be countered by systems such as laser defences but they remain a useful weapon against less well-protected but fleeting targets. The latest TBMs include ablative coatings and other measures to lessen the effectiveness of lasers. A variety of systems are in wide use. The smallest are about 6 yards long and designed to fit in the vertical launch system silos that are a standard fitting of many warships and submarines. 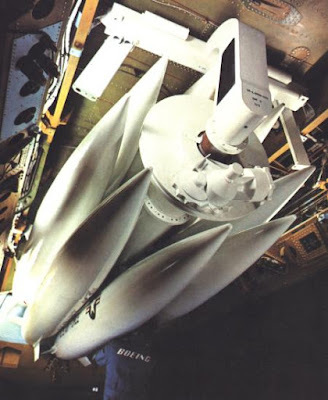 These silos can launch a variety of missiles including the Cruise-UCAVs described in a previous post. Small TBMs such as these are often based on the airframe of surface-to-air and anti-satellite missiles and the same basic design is also used as an antishipping missile. Typically such missiles have a warhead of around 250lbs and some can achieve speeds of Mach 10+. 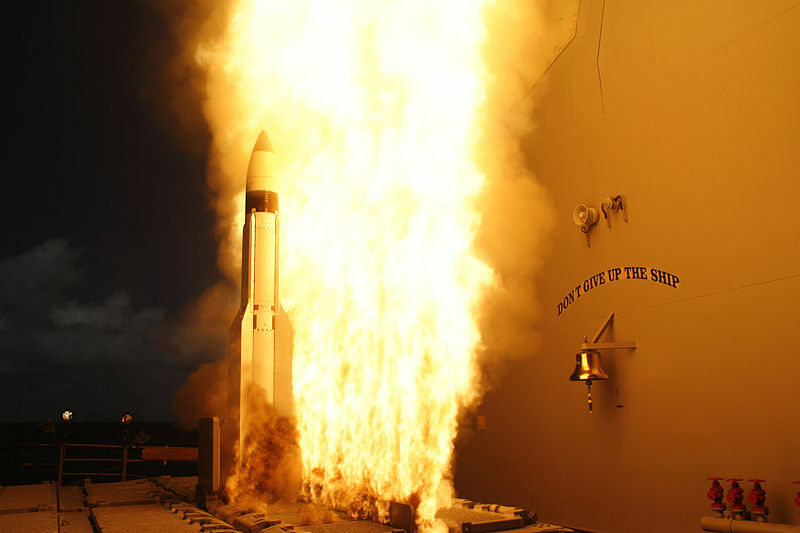 Larger missiles offer the potential of greater warhead capacity. Many designs carry a number of smart or dumb submunitions, each capable of taking out a military vehicle. Missiles such as this come with a number of attack options. A missile fired at a staging area or camp would release all of its submunitions at one, while one attacking a convoy would follow the course of a road, releasing munitions at intervals. The considerable firepower that some forces can bring to bear can often be countered by tunnelling, constructing bunkers and other military entrenchments. Digging deep has become a little easier for TS combatants. Even relatively simple robots such as the TNs make effective miners that will dig tirelessly and are not bothered by underground conditions. If a tunnel caves-in the robots can simply be dug out again and put back to work! Specialist cyberswarms can be used to break down soil and rock to make them easier for larger systems to move and shape. Deep underground structures have little to fear if fired upon by conventional field artillery. Many designs of TBM have a deep-penetration variant with a reinforced nose and intended to dive into a target at supersonic speeds and detonate a few seconds later. Other variants of TBM can use thermobaric, tactical nuclear, EMP, cyberswarm and chemical warheads. At least one model does not impact a target but uses its altitude advantage to fire down on ground and airborne targets with its own laser. Like many other TS-era weapon systems many TBM systems are designed to resemble and be handled as 20ft and 40ft ISO shipping containers. This makes the deployment of such systems more discrete and provides a number of additional launch options. The following video will give some idea on the potential of this, although the Club-K is actually a cruise missile rather than a TBM. 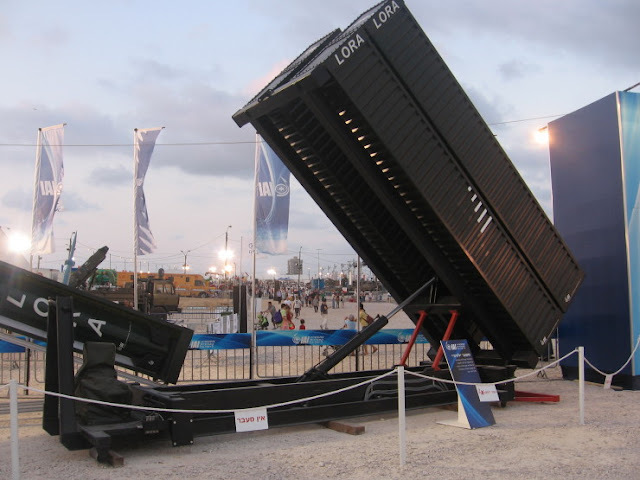 The Israeli LORA gives us an example of a quad TBM launcher resembling a 20ft ISO. The RIM-161 Standard-3 missile can be used as a model for a small, VLS-compatible TBM. This is a surface to air missile with anti-ballistic missile and anti-satellite capability. The earlier RIM-67 Standard-2 could be used as an anti-shipping missile so it is no great stretch of the imagination to see the Standard-3 being the basis of a family of weapons that includes land attack variants. The main differences would be in the warheads and guidance systems. Note that the current and near future SAM versions are listed as having a range of up to 1,350 miles, ceiling of 933 miles and speed of Mach 10-15. For a larger missile system the 9K720 Russian Iskander is a good choice, having a 700kg warhead, range of 310 miles and travelling at Mach 6-7. Despite being called a ballistic missile I can make in-flight manoeuvres and corrections, which is likely to be a common capability of TS-era TBMs. The Israeli LORA and MGM-140 ATACMS can be uses as models for a more modestly-ranged TBM intermediate between the Standard-3 and Iskander.